A picture really does speak a thousand words! 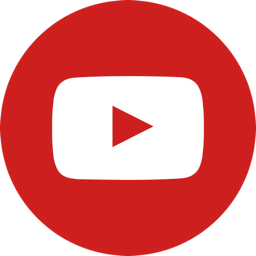 As of recently, skydiving videos have made leaps and bounds in quality since the 1990s. However, so have the photos! Skydiving pictures are great for putting in your office at work or at home as well as proudly setting on the fireplace mantle. 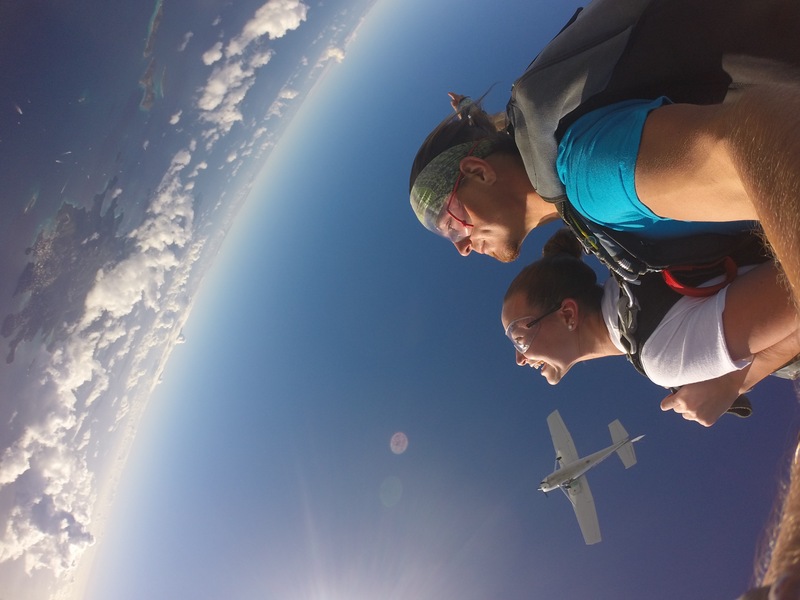 Skydiving is a once-in-a-lifetime event, don’t miss out on capturing every moment on film! One of the most amazing qualities of skydiving pictures is that they capture a moment that’s gone forever, impossible to reproduce. 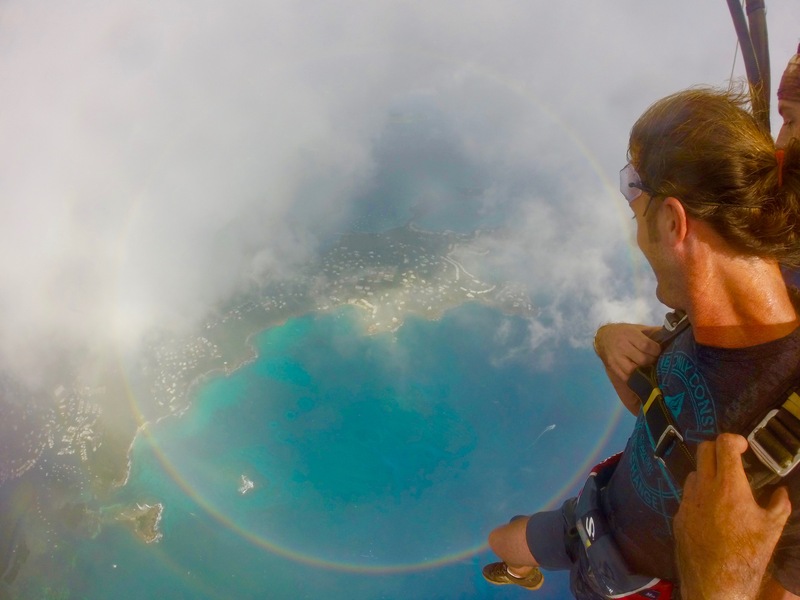 Even if you have been skydiving before, EVERY skydive is different! 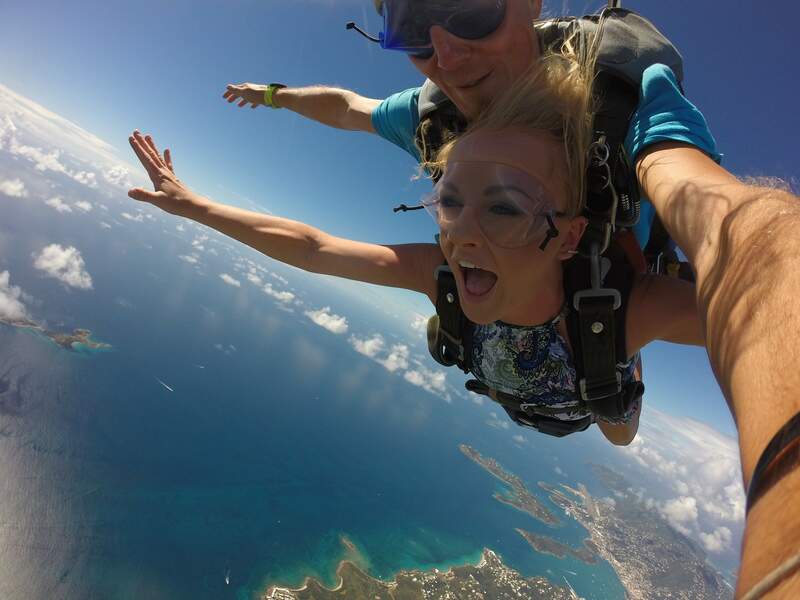 Pictures of YOU skydiving will always put a smile on your face, and they'll also take you back in time for just one second to remember how truly incredible that moment in time was! 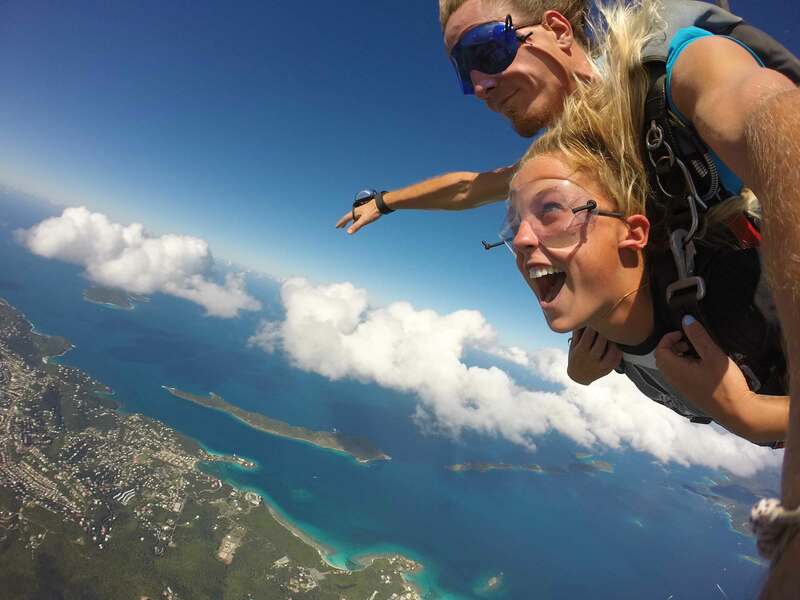 So, don’t forget the skydiving pictures and video when skydiving in the Virgin Islands! 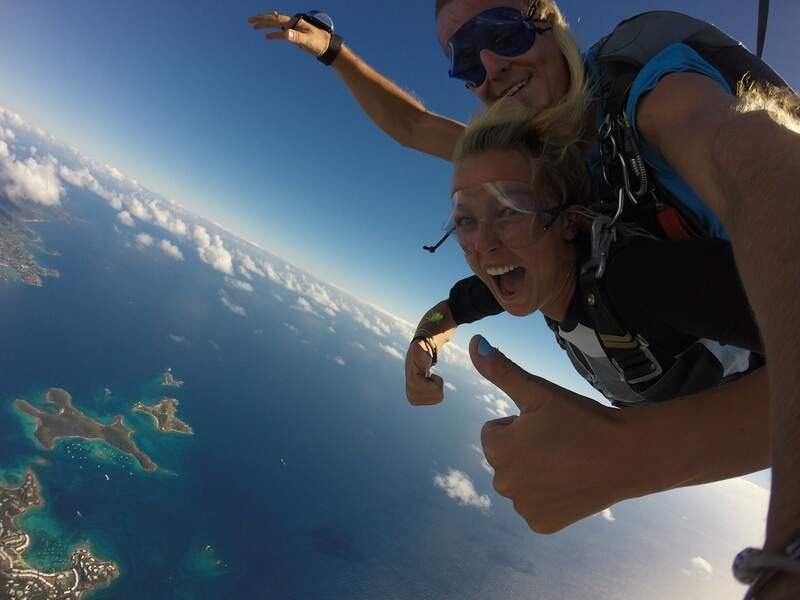 Select our Ultimate Skydive Package and relive your experience of a lifetime for years to come! The gift of the GoPro! 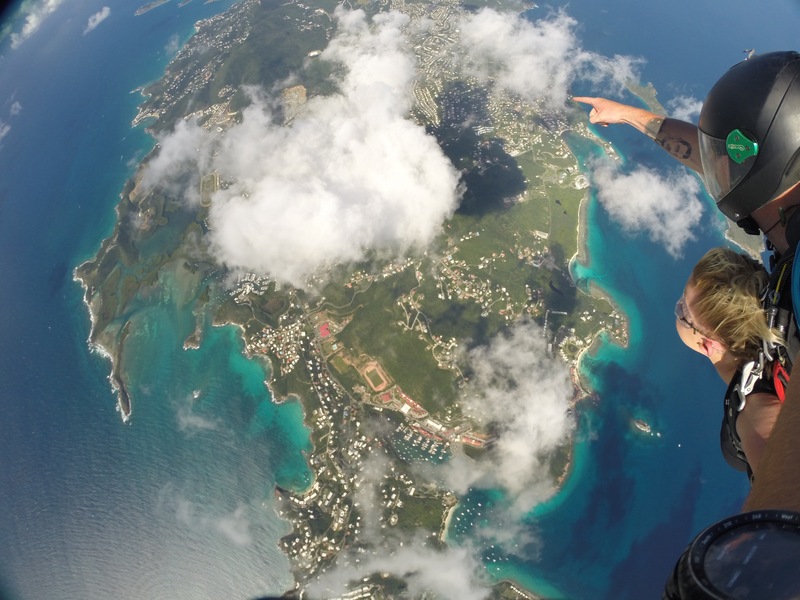 Skydive Instructors at Skydive Virgin Islands receive extensive training in order to capture the best video in the world! Safety, of course, is our number one priority during your tandem jump! 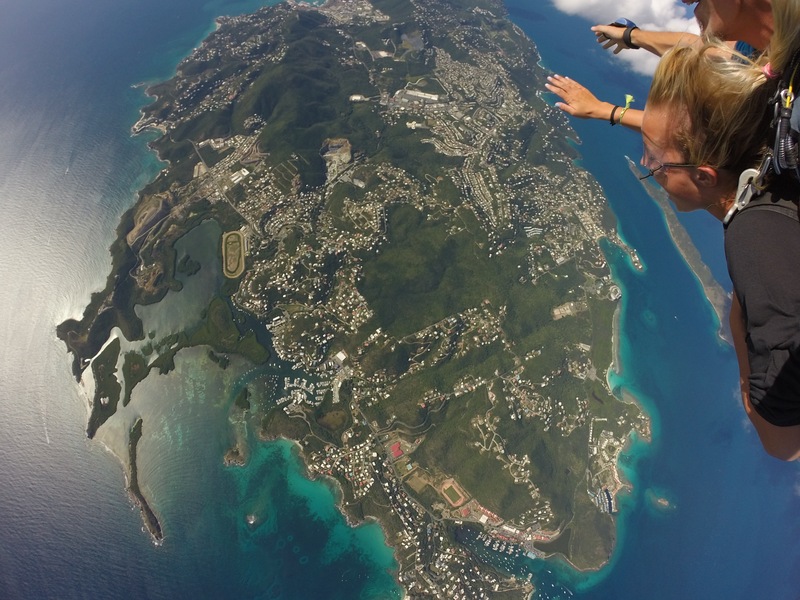 Your instructor wears two wrist-mounted cameras with wide-angle lenses which capture the epic shots of your skydive in the Virgin Islands! 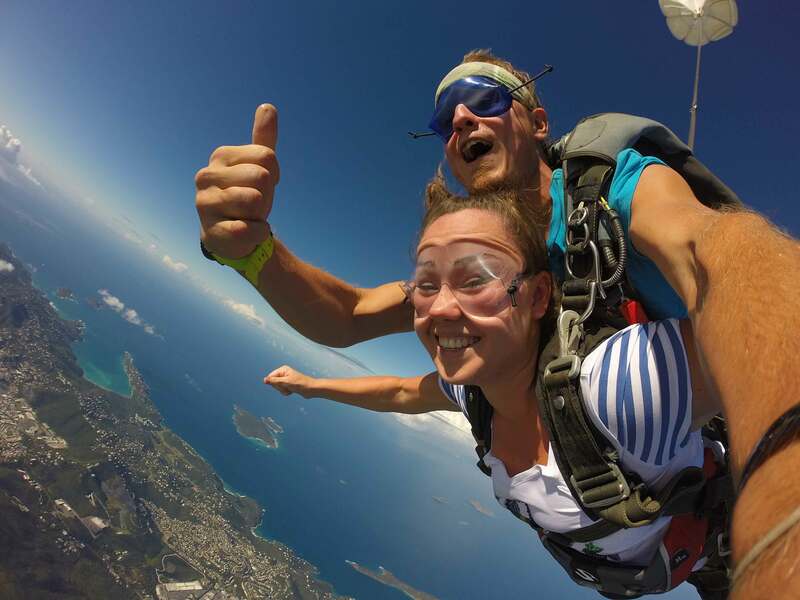 Each skydive photo and video package includes interviews with you as we prepare to board the plane, shots of your ascent to altitude, climbing out of the aircraft, freefall, parachute ride down to landing, and your reaction upon reaching the ground safely. 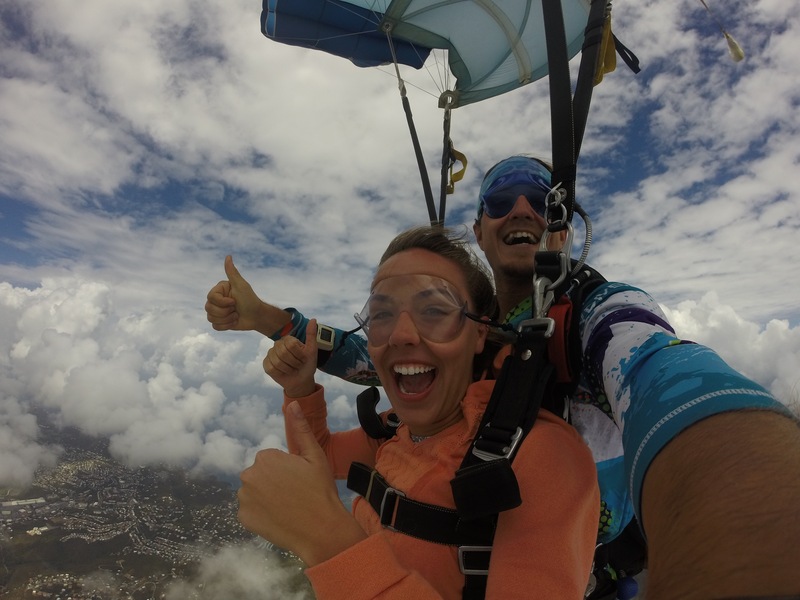 Your skydiving video is then edited by our editors and delivered digitally via Dropbox. 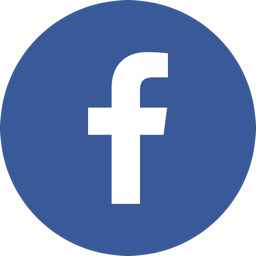 The video of your amazing tandem skydive experience will help you preserve the memory and share it with family and friends. You can drag it to your desktop, upload it to Facebook and YouTube, or send it to your iPad/iPhone (via iTunes) or to your Android device. It couldn’t be simpler! 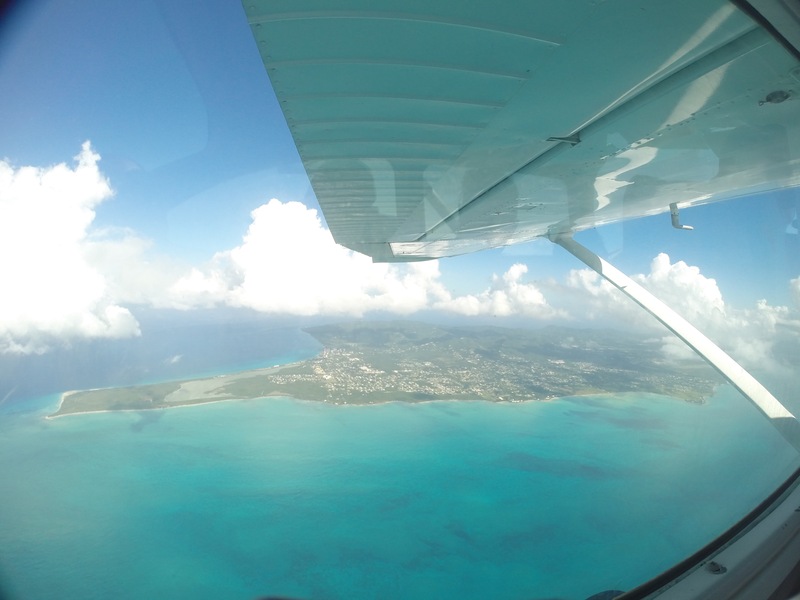 Note: This camera package consists of both video and still skydiving photos. We do not separate the two. This package is priced per-person only, and because the camera goes with you and your instructor, it cannot be combined with other jumpers.